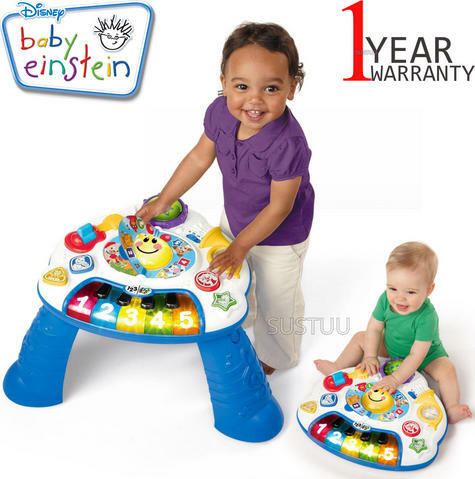 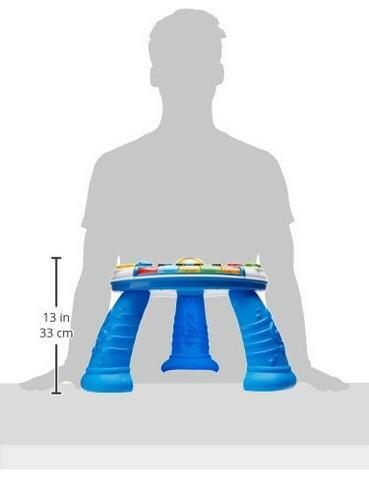 Parents can introduce their little one to classical music, musical instruments, colours and languages (English, Spanish and French) with the Baby Einstein Discovering Music Activity Table. 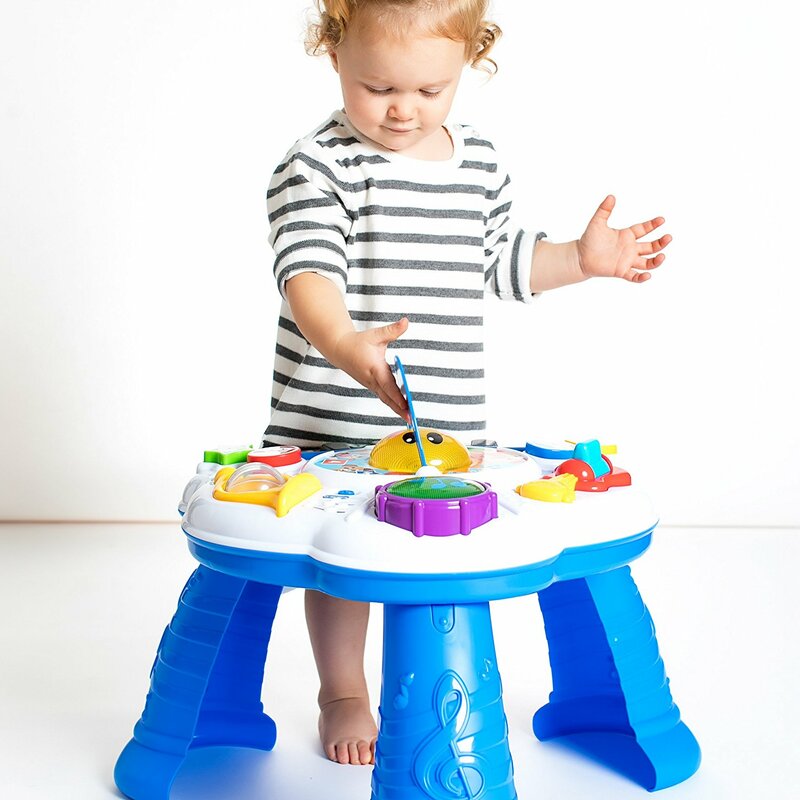 The little one can choose between melodies mode and discovery mode on the piano, activating five different classical melodies and free-playing the piano, or learning about colours in English, Spanish and French. 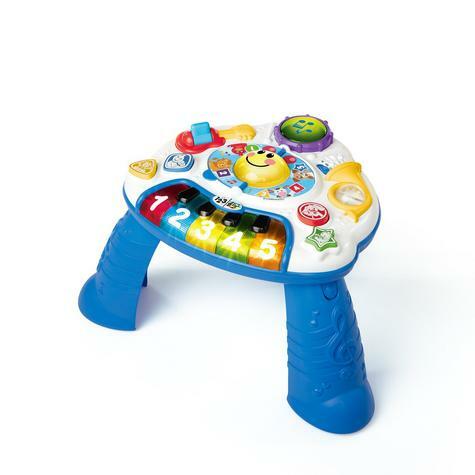 On the drum station, little one can learn numbers 1-5 in the three languages and strum the guitar to activate guitar sounds and lights. 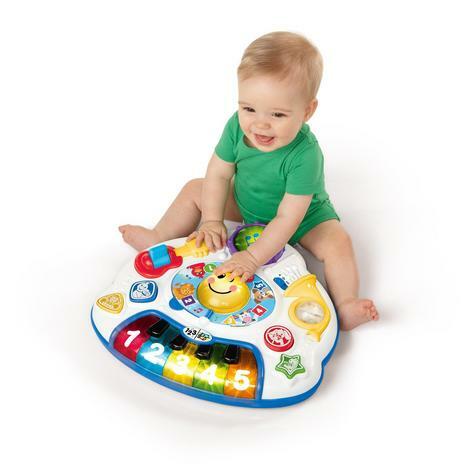 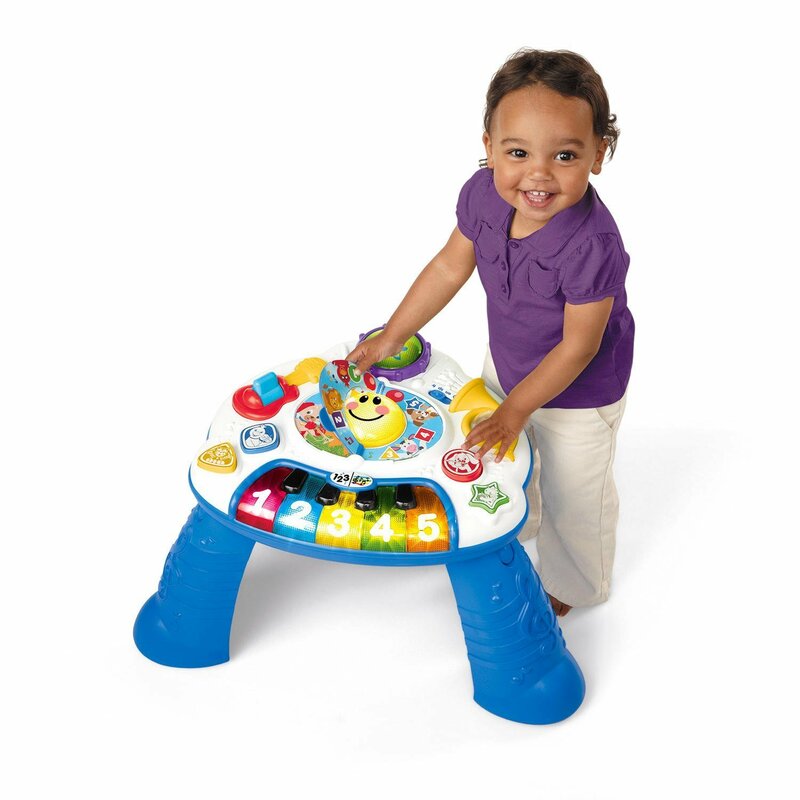 Shaped buttons feature musical instruments, which little one can also learn in the three languages.